It is FREEBIE week here at 2 Cute Ink Digital Stamps! Today is the first day you can get the free digi "Playtime Winter Penguin". 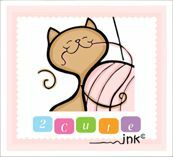 Remember all you have to do is sign up for the 2 Cute Ink Newsletter between Dec 1 and Dec 8th, it is that simple! Oh and once you sign up you will never miss a freebie again :) Oh and don't forget to join the 2 Cute Ink Facebook group because there is a special challenge just for this cute penguin Digi! Its the first time in this shop and i like the stamps. How sweet is this penguin? Can't wait to try it out. Very cute, I need to open up to doing more variety. thanks for the freebie. Almost missed this cutie patootie! Looking forward to reading your newsletters! Thanks so much! I'll sign in as soon as possible!